With blind rivets, joining parts can be connected from one side only, a counter-holder is not required. 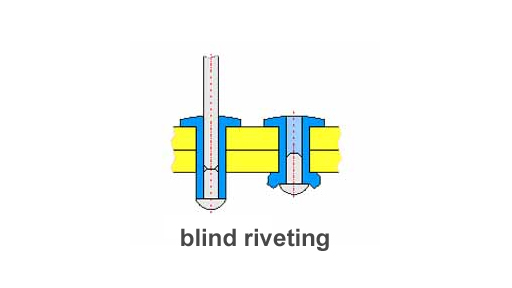 Blind rivets are hollow rivets with a pierced mandrel which is pulled against the rivet head and compresses the hollow shaft. At the end of the forming movement, the rivet mandrel head ruptures at a predetermined breaking point and remains in the closing head. The remaining mandrel is ejected.